Showing 1 - 10 of 91 Products for Tonneau Cover. If you prefer a more streamlined, lower profile look for your truck, but don't want to sacrifice performance, the ACCESS(R) LORADO(R) Roll-Up Cover is a perfect option. 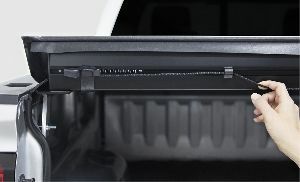 It features all of the same components as our ACCESS(R) Original Roll-Up Cover, but with a sleek, low-profile design that sits only 1" above the truck bed. It will keep items protected and out of sight in your truck bed, increase gas mileage and give you the sleek look you want. The ACCESS(R) LORADO(R) Roll-Up Cover combines all of the convenience and benefits of a roll-up cover in a stylish, lower-profile design. 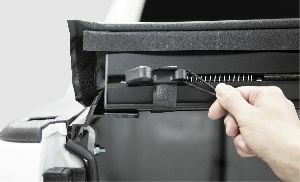 The LITERIDER(R) Roll-Up Cover is ideal for truck owners who place importance on quality but prefer a leaner price. The LITERIDER(R) Roll-Up Cover is built just like the ACCESS(R) Original Roll-Up Cover, with the same durable and functional design but with a few component changes to make it even more affordable. With its increased capacity design, this cover is perfect for protecting and securing your outdoor gear from the elements, but can still conveniently roll open and out of the way for loading large items in the truck bed. The VANISH(R) Roll-Up Cover is a perfect choice for truck owners who want the lowest-profile design at a remarkably low price. When closed, the cover lies a mere 1/2" above the truck box - virtually disappearing before your eyes from the side or rear profiles. It will give your truck a smooth, streamlined look while providing you with gas mileage savings and protection for your cargo. The VANISH(R) Roll- Up Cover provides you a great roll-up cover at a low price. The TONNOSPORT(R) Roll-Up Cover gives you a sleek, low profile look at a great low price. Sleek, affordable and durable, the TONNOSPORT(R) Roll-Up Cover sits only 1/2" above the truck bed and comes with high quality, economical components. The cover gives your truck a smooth, streamlined look while providing you with gas mileage savings and protection for your cargo. 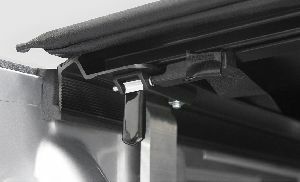 The TONNOSPORT(R) Roll-Up Cover fits your lifestyle, your truck and your budget. 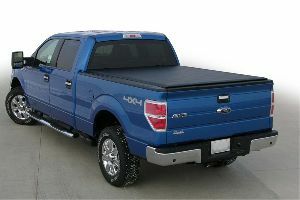 Exclusively from ACCESS(R) Original Roll-Up Cover comes a tonneau cover that is both versatile as a handyman and dependable as the tools he uses. 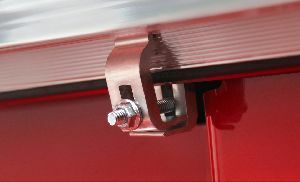 The ACCESS(R) Toolbox Edition Roll-Up Cover works with 19 – 21" over the rail toolboxes and operates independently of the toolbox without interfering with its operation. And it's engineered to perform in extreme hot and cold climates, so it will protect whatever you throw under it.